A: Look in the “Tuna trafikskola” and price information. A: Depends on your circumstances. First, how much you can practice driving at home, but also how motivated you are. Q: How long is the waiting time to make the theory test and driving test? A: Normally it is pretty fast about. 2-3 weeks, but during vacation periods there can be longer queues. Q: The cut on the number of lessons? A: Hard to say … Must know the age issue. Is the student 18, 30, 50 or older? A: The package that we sell most of is the “basecard”. Not sure what suits you? So I recommend you to have a lesson with an open mind and then together with the driving instructor to reason out what suits you best. Q: When do you do the risk educations? A: To get the most from the risk education 2. You should be very far advanced your education. The Risk educations should however be done before the driving test can be booked. Q: What cars you drive? A: We drive the Volvo C30, S40, V40 and V60 and a Hyundai Matrix . Q: In which permissions do you have education? Q: How many teachers are you? A: We are 6 driving instructors. Please come down to us and talk to office staff. Then we check with you who will suit you best. 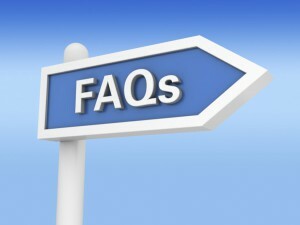 Q: How long does the certificates to the induction training?